PDX Minecraft – Page 14 – Just a bunch of Minecrafters…. May the 4th be with you… always……. May the 4th be with you... always....... And now the Star Wars main theme sung a cappella by nmckaig on youtube! Repost from May the 4th. IRC chat up and running. I have integrated an IRC chat bot into the server, and have added a page to the Website with an IRC chat window. Channel password is 'PDXMC' use whatever nickname you want. To connect with an IRC client the server is irc.geekshed.net, and the channel is PDX-Minecraft. Enjoy, if this becomes a spam issue or there are any problems, let me know. Another Runecraft tutorial from Ctri the Runecrafter. Phase blocks let you build hidden walls doors, bridges almost anything you can think of out of blocks. I even saw a house build completly out of phase blocks once. Attempting to get more players on the server. I have made some posts on various locations for Servers to get more players. So if you could lend a hand and post at minecraftforum.net about the server it probably will help. Nitemayr posted the videos of the ender dragon fight, so here they are. The Dragon is dead! Long live the Draconea! On Monday night our host set out on a quest to The End to kill the dragon, and we were most fell! The Dragon is dead and its egg is ours! LOL, enough of that. On Monday Baldwolf, GLGuy, Nitemayr, Chef_MD, and myself nlancaster. Set out to find and kill the Ender Dragon. After getting to the end, the dragon never spawned, so I had to work my admin magic and spawn the dragon so we could kill it. The dragon is dead and I have placed its egg on the south balcony of the Spawn center for us all to gawk at. Video should be coming from Nitemayr soon, I will post it as soon as it is available. 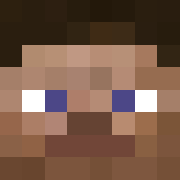 PDX Minecraft Mumble server available. As part of my perperations for the trip to The End. Jimmy3139 broached the subject of Voice communications, and I thought it was a wonderful idea. So we now have a PDX Minecraft Mumble server. The creative world is now reseeded and I am in the process, slowly, coping things over to be saved from the old creative world. You have one more week to tell me if there is anything you want saved. I also built something I thought was needed, a Spawn Center in the Creative world. It contians portals to the Central Hub creative portal, and also a new portal to Western Hub. I also constructed in the Western Hub a Portal and Teleport house, in one of the lots near the Western Hub gate. Runecraft 101: The Water pick, or how not to burn to death. Another great tutorial from Ctri the Runecrafter. Residence is a self serve area protection system, that the users can use to protect their projects outside of the Hub cities. Its use is simple, but offers many options one example are the Hub cities. When you enter Central Hub it tells you, this is the Enter message, when you leave it gives you the leave message. Here are some simple instructions, I will link to the Residence Wiki at the bottom of the post. 2. run the command "/res select vert" this will set your selection to the full world height bedrock to the top. 3. run the command "/res create [name]" this will create the residence called whatever you type in place of [name]. 4. to remove a residence if you want to change it or make a mistake "/res remove [name]"
Those are the basics of protecting your area, this will keep anyone from damaging the areas you protect. There are many more settings including ones to allow others to build or take from chests in your area. Please make use of this great plugin, it is only a matter of when not if we get a griefer in here. If you have any trouble, please ask. An ounce of prevention is worth its weight in gold blocks!